Ethnic Bulgarians comprise 83.9% of the population. Turks at 9.4% and Roma at 4.7% are the two sizable minority groups. The remaining 2.0% are composed of some 40 smaller minorities. The most prominent are the Russians, Armenians, Arabs, Vlachs, Jews, Crimean Tatars and Sarakatsani, also known as Karakachans. 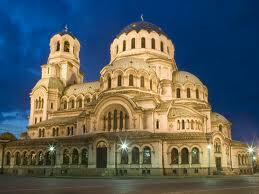 Regarding religion, about 82.6% of Bulgarians belong to the Bulgarian Orthodox Church. The other religious denominations include Islam at 12.2%, various Protestant denominations at 0.8% and Roman Catholicism at 0.5%. The rest of about 4.1% is accounted for by other denominations, atheists and undeclared religions. Due to economic collapse and high emigration, negative population growth has occurred since the early 1990s. The Republic of Bulgaria is a country in the Balkans in southeastern Europe. It has five other countries as its borders. Romania is to the north mostly along the River Danube while Serbia and Macedonia are to the west. Greece and Turkey are on its south while the Black Sea defines the rest of the country to the east. Portions of the ancient Roman provinces of Moesia, Thrace and Macedonia compose modern-day Bulgaria. Golden artifacts of Old European culture were found to date back to fifth millennium BC. Bulgarian kingdoms flourished from seventh century AD 600s to AD 1018. However, from 1422 AD, they came under Ottoman rule for almost five centuries. By 1878, a Bulgarian state as a constitutional monarchy was established after the war between Russia and Turkey. In 1945, Bulgaria became a communist state and part of the Eastern Bloc. Democracy and free market capitalism were adopted in 1990. Today, Bulgaria functions as a parliamentary democracy within a unitary constitutional republic. Geographical and climatic features of Bulgaria are notably diverse. Its landscape ranges from the Alpine snow-capped peaks in Rila, Pirin and the Balkan Mountains to the mild and sunny Black Sea coast; from the typically continental Danubian Plain in the north to the strong Mediterranean climatic influence in the valleys of Macedonia and in the lowlands in the southernmost parts of Thrace. The territory of Bulgaria is straddling the Illyrian and Euxinian provinces of the Circumboreal region within the Boreal kingdom. It has two main eco-regions: the Balkan mixed forests and Rhodope montane mixed forests. In addition, four other small eco-regions are within Bulgarian territory. The ski-resorts of Samokov, Borovets, Bansko and Pamporovo attract many visitors in winter. 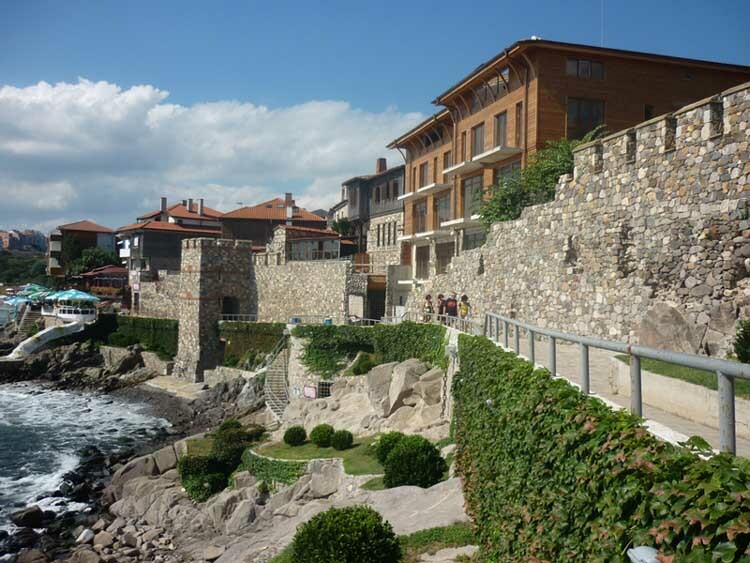 Summer resorts are along the Black Sea at Sozopol, Nessebur, Golden Sands, Sunny Beach, Sveti Vlas, Albena, Saints Constantine and Helena and in many other places. 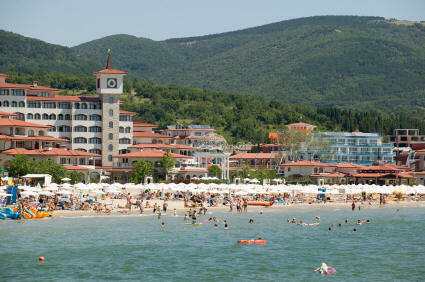 Spa resorts such as Bankya, Hisarya, Sandanski, Velingrad, Varshets and many others attract visitors throughout the year. There are emerging types of tourist activities, such as "ethno-tourism" and "architectural-cultural" tourism, that involve interaction with and living among the local people in small mountain villages. Active recreation, involving mountain hiking and bike tourism, provides a close connection with nature for the more adventurous. Climbers scale the granite mountains of Rila, Pirin and the Balkan. Hikers enjoy the mountains of Vitosha and the Rhodope. Mountain biking and bicycle racing are also popular. 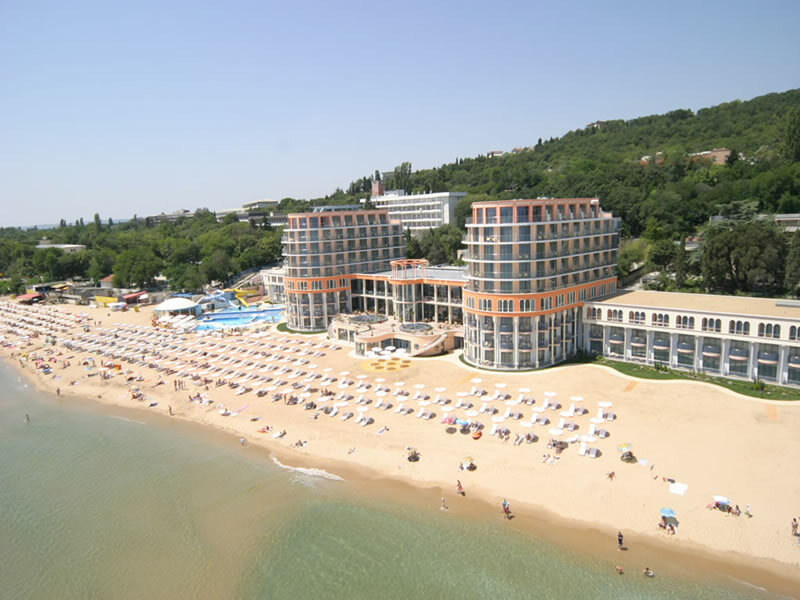 Kavarna, one of the more popular sea resorts, has become widely known in Bulgaria as a "rock capital" due to the large number of concerts by world-famous bands and musicians. The Thracians are the earliest settlers in Bulgaria. The Romans conquered the territory in 45 AD. The First Bulgarian Empire flourished from AD 632 up to 1018 when the Byzantines led by Basil II ("the Bulgar-Slayer") destroyed the Bulgarian state after their victory at Kleidion. 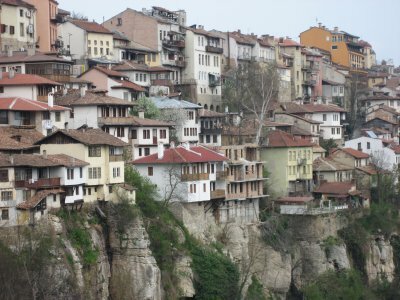 Byzantine rule lasted up to 1185 when the Second Bulgarian Empire was established with its capital based in Veliko Tarnovo and under the Asen dynasty. In 1393, the Ottoman Empire occupied Bulgaria. Ottoman rule lasted for five centuries. It was ended after Russo-Turkish War (1877-1878). After the Serbo-Bulgarian War and unification with Eastern Rumelia in 1885, Bulgaria proclaimed itself a fully independent kingdom on October 5, 1908, during the reign of Ferdinand I of Bulgaria. Bulgaria lost territories due to World War I. During World War II, Bulgaria was one of only three countries along with Finland and Denmark that saved its entire Jewish population (around 50,000 people) from the Nazi camps by refusing to comply with an August 31, 1943 resolution. After World War II, Bulgaria fell within the Soviet sphere of influence, became a People's Republic in 1946 and one of the USSR's staunchest allies. Bulgaria adopted a new constitution in July 1991. There are many bars, pubs, and disco clubs in Sofia, the capital of Bulgaria. The night life in Varna, the third largest city and primary beach resort, is notorious, especially during the summer season. Burgas, the second largest city and seaside resort, is known for its commercial port with picturesque seaside and nearby downtown and shopping area, making it popular to tourists. Global and cosmopolitan in orientation, these are perfect places of entertainment for people who enjoy going out to rejuvenate after a very busy day. One can enjoy assorted fine liqueurs along with savory and mouth-watering food. The line up of options to choose from is subject only to one's preferences in terms of taste, palate and wallet. The ancient civilizations of Thracians, Greeks, Romans, Slavs, and Bulgars left their marks on the culture, history and heritage of Bulgaria. Thracian artifacts include numerous tombs and golden treasures, while ancient Bulgars have left traces of their heritage in music and early architecture. The oldest treasure of worked gold in the world, dating back to the 5th millennium BC, comes from the site of the Varna Necropolis. Bulgaria was the hub of Slavic Europe during the Middle Ages. 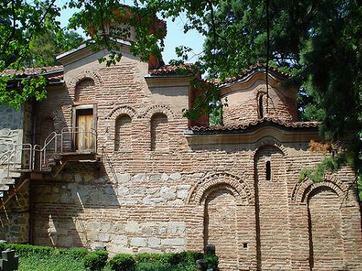 It exerted considerable literary and cultural influence over the Eastern Orthodox Slavic world through the Preslav and Ohrid Literary Schools. Bulgaria's contribution to humanity continued throughout the 19th and 20th centuries, with inventors, noted opera-singers, and successful artists. Bulgarian cuisine offers great diversity due to the relatively warm climate and diverse geography affording excellent growth conditions for a variety of vegetables, herbs and fruits. Famous for its rich salads that are eaten at every meal, diverse quality dairy products and a variety of wines and local alcoholic drinks such as rakia, mastika and menta are also featured. Bulgarian cuisine also features a variety of hot and cold soups, for example tarator. It is a cold soup made of yogurt, cucumbers, garlic, walnuts, dill, vegetable oil and water. There are many different Bulgarian pastries, such as banitsa, a traditional pastry prepared by layering a mixture of whisked eggs and pieces of sirene (Feta cheese) between filo pastry and then baking it in an oven.